has produced wide-ranging work that plays a vital role in current debates on Italy's colonial past, its sexist and racist legacy, and the identity of Italians of African origins. It also raises the question of fiction's place in these discussions. Her parents came to Italy from Somalia and many of her works concentrate on the identities of a Muslim black woman in Italy. 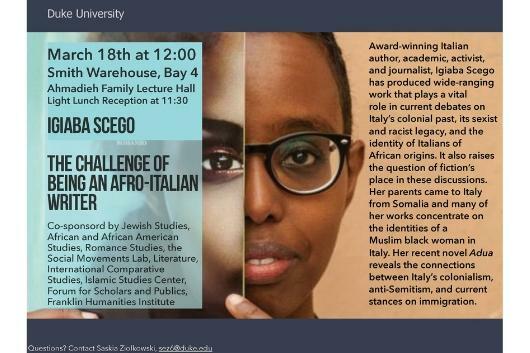 Her recent novel Adua reveals the connections between Italy's colonialism, anti-Semitism, and current stances on immigration.